HEAT the oil in a large frying pan over high heat. Cook chicken 6-8 minutes until golden. Add spring onion and capsicum and cook a further minute. Reduce heat to medium. STIR in ZoOSh Satay Sauce, chilli sauce and chestnuts. Cook for a further 2-3 minutes until heated through. Remove from heat and stir in bean shoots and coriander. 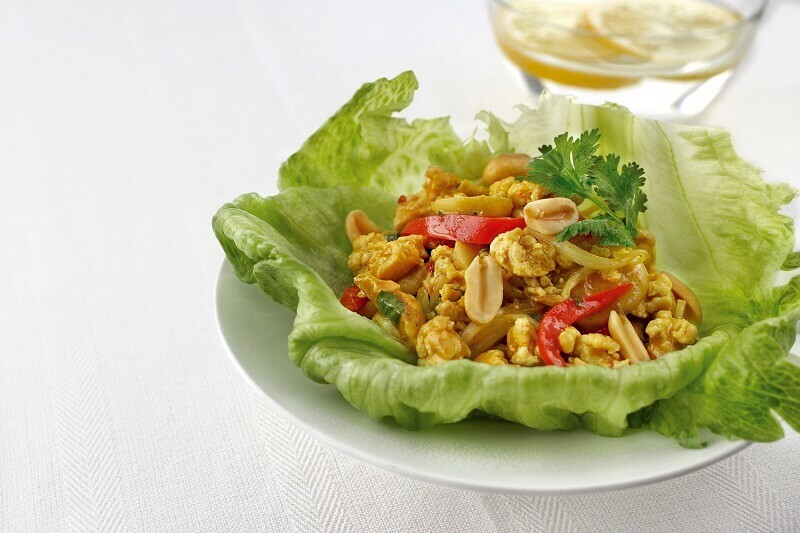 SPOON chicken mixture into lettuce cups, top with peanuts and serve.